Sunday, Jan 8 at 1:00, beginning at the Wakeman Center, Lambert's Cove. Our next walk will explore the trails and conservation lands surrounding the VCS home-base, the Wakeman Center. With three smart, friendly, and experienced naturalist/biologists – Luanne Johnson, Liz Baldwin, and Liz Loucks – on hand to help guide the tour, be assured that almost any question you have about the local natural world can be answered. This will be a great walk for kids and families. Without revealing too much, it appears there is a good chance of an otter encounter of some sort! Check our website or the newspapers in coming weeks for more information and directions. "In the end, it came down to a single turn of phrase: changing 'legal outcome' in the earlier draft to 'an agreed outcome with legal force under the convention applicable to all parties.'" Wednesday, Dec 28, 11:00 am to 4:00 pm, at Sassafras Earth Education, Aquinnah. Gather wild foods and learn to cook outside, including building a big cooking fire. Best of all, eat what you make! For children and adults of all ages, $45. Lunch (or a snack) and a water bottle is recommended. For more information see website. Sunday, Jan 1, 1:00 - 2:30 pm at Felix Neck Wildlife Sanctuary. Celebrate the New Year with an easy walk at Felix Neck with Naturalist Susie Bowman. Free to Mass Audubon members, $5/person for non-members. No registration required, call (508) 627-4850 or email for more information. 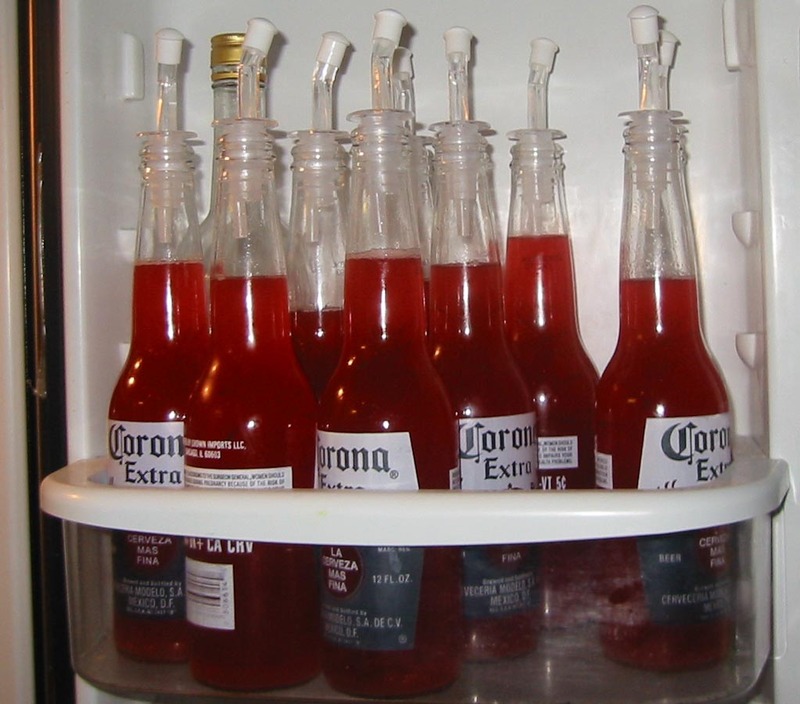 Nine festive gifts spend the night in the fridge. One --could-- buy bottles for a more highbrow look, but where's the fun in that? The next day, strain mixture through cheesecloth into containers and place a rosemary sprig in each. Store in the fridge. It may take a few days for the rosemary flavor to steep into it. 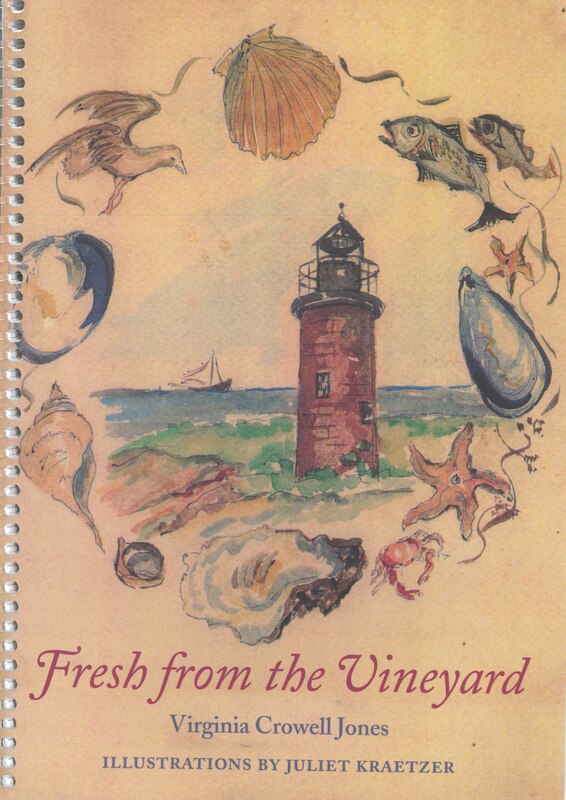 Virginia Jones' Fresh from the Vineyard showcases island agriculture and fishing, featuring recipes that take advantage of our bounty of local produce, meats, and seafood. A portion of the proceeds from sales of the book will benefit both VCS and the Island Grown Initiative, two organizations that – in very different ways – have helped promote and sustain local agriculture. You can find Fresh from the Vineyard at many island stores and farms, including Bunch of Grapes, Cronig's, Larsen's Fish Market (Menemsha), Allen Farm, Morning Glory Farm, Mermaid Farm, Nip N' Tuck Farm, and Fiddlehead Farm Stand. How Green is Your Vineyard? From Geoff Rose, “How Green is your Vineyard?” is a new trivia-based board game featuring fun Island-oriented questions from categories such as Conservation, Sustainability, Commerce, and more. Available at dozens of local retailers and online, a portion of the proceeds from sales go to support VCS and the Polly Hill Arboretum. 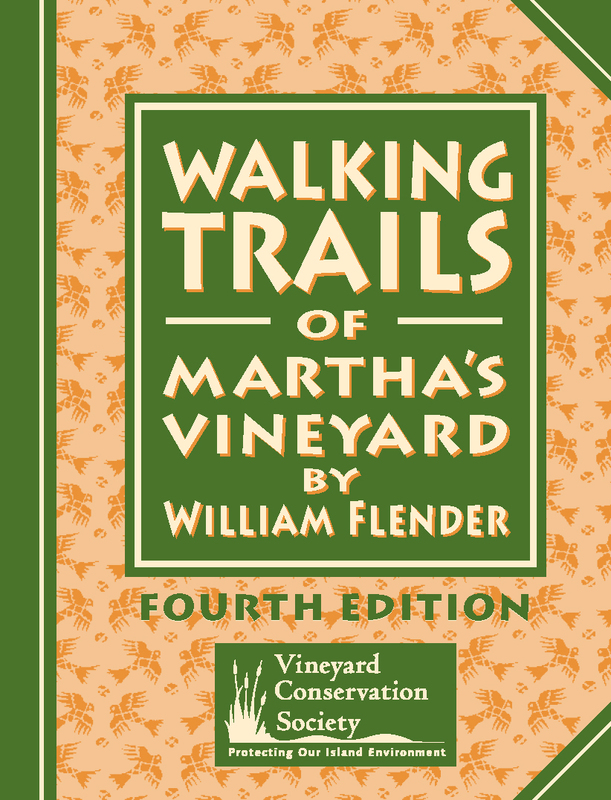 Give the gift of nature with the new 4th edition of Walking Trails of Martha's Vineyard, featuring several new trails! This handy information-packed book can be purchased at the VCS website site by selecting the $20 donation option (price includes shipping), or at many Island retailers. A message from a member . . .
"I recently joined VCS because of their strong commitment to preserving the Island character that I so fondly remember growing up with. I want my kids and grandkids to enjoy clean great ponds and the pristine heathland of Moshup Trail. I wanted to be part of a group who is not afraid to stand up against inappropriate development and will fight for what is right for the Island, not the individual." If you're not already a member, please join us today! Due in at least some part to VCS advocacy, high-impact residential development – or, to put it more bluntly, really big houses– has received a recent boost in attention from the Island newspapers. As reflected in a recent letter to both papers by VCS executive director Brendan O’Neill, VCS supports efforts by the Martha’s Vineyard Commission (MVC) to use its powers to bring additional review before construction of enormous estates. Reviewing Developments of Regional Impact (DRIs) and designating Districts of Critical Planning Concern (DCPCs) are the two powers granted the MVC under its legislation (General Laws Ch 831). With the MVC currently undertaking its periodic review of the checklist of “triggers” for referring developments for DRI review, VCS offered public testimony suggesting that now is the time to design triggers for high-impact residential development. In the past week and a half, both papers have weighed in on the issue with thoughtful commentary. The Vineyard Gazette argued that decisions about community character should be made by individual towns, and that they should enforce the regulations that already exist. Following reader feedback pointing out that towns do not already possess the necessary regulatory abilities (towns are prohibited by state law from regulating house size), the Gazette amended their position to suggest that towns use the authority of the MVC to create a town-wide DCPC, as Aquinnah has done, which would give them the ability to review very large house proposals. VCS would support this as well, and has suggested the DCPC approach in the past; see here for more information. In contrast to the clarity of the Gazette’s concise commentary, this week’s much longer editorial in the M.V. Times provides a great amount of food for thought, but struggles to make its point as clearly. The framing device of the article appears to be that the proponents are dreaming up the new regulatory rules they want before the community has a chance to decide if we even want additional regulation. Whether or not that’s true (that is, the dreams of those unnamed advocates), it’s immaterial. The process of debating, in the open, whether this is something that should be regulated is happening right now, in part due to the efforts of their newspaper, as well as VCS and others. Water quality protection is a priority not just for the Vineyard Conservation Society but also for many of our non-profit colleagues around the northeast. When not on Martha's Vineyard, Menemsha resident Ben Wolkowitz chairs the Great Swamp Watershed Association headquartered in Morristown, New Jersey, a group dedicated to protecting and improving water resources in a ten-town watershed region about half the size of Martha's Vineyard. His organization advocates for intelligent land use and works to inform watershed communities about how water quality impacts their lives and the local environment. 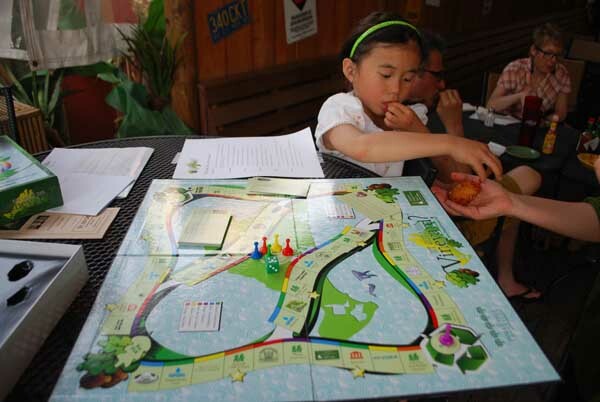 Over the 30-year history of the Great Swamp Watershed Association we have learned that encouraging more environmentally sensitive behavior requires a combination of science, advocacy and education. This was exemplified in our work on reducing the effects of nutrient runoff on the quality of water in the Watershed. That particular problem has some similarities to the pollution problems that have been impacting Vineyard ponds. Our starting point was our citizen science efforts directed by our staff scientist. Periodic water testing enabled us to establish baselines, which we could use to determine whether particular chemical levels were stable or fluctuating. Sampling of storm flow augmented this testing so that we could calculate what additions to chemical loading came from surface run off. This work identified the problem and the on going testing enabled us to quantify the effect of our efforts over time. We found phosphates to be our most significant problem. Careful testing lead us to conclude that wastewater effluent runoff was a primary source; however products with phosphates such as fertilizer and dishwasher detergent were also significant contributors to the problem. The outcome of the recent climate conference in Durban, South Africa is being hailed as a breakthrough, or characterized as “kick(ing) the can down the road,” and everything in between, depending on who you ask. It might reasonably be said to be both of those things: No agreement to reduce emissions – i.e., a climate treaty – was reached. However, there were some notable firsts. All major carbon emitters, including developing nations such as China and India, were involved in the negotiations, and all appear to be working in good faith to reach an agreement. Perhaps equally important, the U.S. has agreed for the first time to the prospect of striking a deal that will have “legal force,” which to some Americans is a partial concession of national sovereignty. Coming from the most powerful nation in the world, and a fiercely independent one at that, this is a big deal. Hopefully, a meaningful climate treaty, with the U.S., China, and India on board, can come of it.